Wyoming Catholic College in Lander is steadily growing, and administrators say it’s been difficult to find housing for new students. Wyoming Catholic College President Kevin Roberts says enrollment is currently at 150 students. That’s up from 110 a few years back. "What we’ve seen in the last 3 years is record enrollment growth," says Roberts. "Each freshman class has been larger than the previous one." 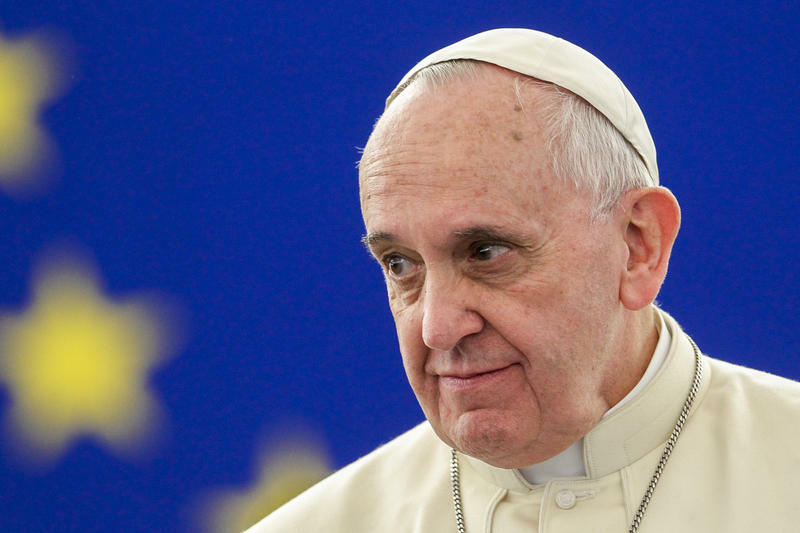 Pope Francis’ recent statements framing global climate change as a moral issue could be hard to swallow for some Catholics in Wyoming—where just 42 percent of residents say they believe climate change is caused by humans. Wyoming Catholic College in Lander has decided not to offer federal grants and loans to its students. It says doing so could threaten the school’s religious liberties. Last year, the small, 8-year-old college took its first step toward accreditation. The move meant credits earned at W-C-C could be transferred to other schools—and made it eligible for federal loan programs. But the college’s Board of Director’s voted unanimously last month not to participate in those programs—known as Title IV. Wyoming Catholic College in Lander is now a candidate for accreditation as a higher education institution, a status the small liberal arts college has been working towards for years. Full accreditation is expected by 2018. College President Kevin Roberts says candidacy will bring a host of privileges to the 8-year-old school. The biggest is that college credits will now transfer to graduate programs—which has been a problem for some of the school’s past graduates. Wyoming Catholic College is proud to announce the release of its new promotional film: “Wisdom in God’s Country.” The result of more than a year of filming by Grassroots Films-- the studio behind “The Human Experience” and the USCCB’s vocational video, “Fishers of Men” -- this video is the most recent and most comprehensive look at one of the nation’s newest, most exciting educational institutions.